Please refresh this page to see our updates through the day. 6:15 PM: Not bad! Plum Pretty pays $14.60 for the win. With 17-1 Saint John’s River in second, the exacta pays $163. Zazu finished third, and favored Joyful Victory fourth. Trainer Bob Baffert is surely hoping that tomorrow night he’s standing in the winner’s circle again, this time with Midnight Interlude. Unlikely? I’ll leave it to Scheinman to tell you why or why not in our Saturday live blog. Thanks for reading today. 5:50 PM: Going with a parade/board play on Plum Pretty. 5:15 PM: Forty-five minutes to the Oaks, and I have yet to settle on a pick. Like the Derby, the Oaks is a wide-open race. Unlike the Derby, it’s because the depth of the contenders allows for several possible winners. Joyful Victory, the favorite now at 5-2, has two stakes wins, and physically looks the part of an Oaks winner. Arienza, second in the Fantasy Stakes last month, hardly flattered her, though, running eighth in the Eight Belles on the undercard. 4:20 PM: Early Kentucky Derby day scratches are out. In the fourth, scratch #2, War Tigress. In the sixth, scratch #9, Bergerac. In the seventh, scratch Stage Magic (she ran today in the La Troienne). In the tenth, scratch #1, Little Mike and all the also-eligibles. 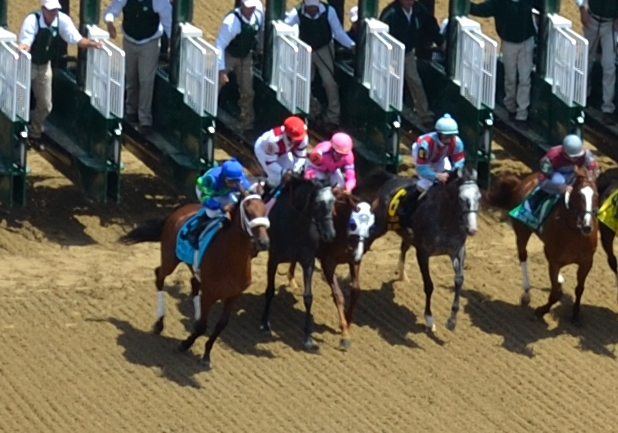 In the eleventh, scratch #18, Uncle Mo (but y’all already knew that). In the twelfth, scratch #2, Justifier and #12, Pathoki. In the 13th, scratch #8, Blowback and #10, Jaleb. 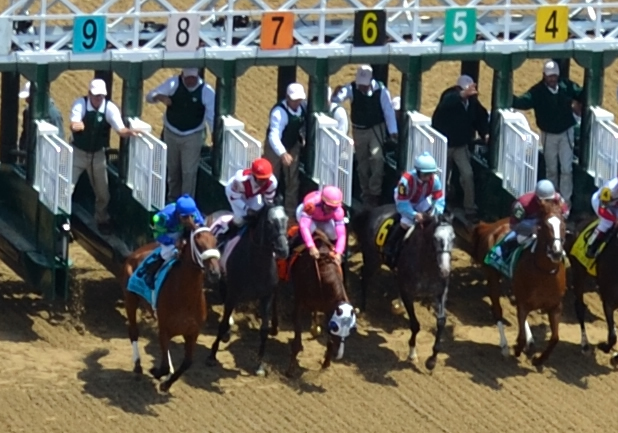 4:10 PM: Overheard on the press balcony as the Aylsheba started: “How many times are they going to go around?” A real heart breaker for Regal Ransom, that race, just nosed out by First Dude at the wire. 3:00 PM: Today’s podcast is up! John Scheinman talks with Claire Novak and Ed DeRosa about the Kentucky Derby. 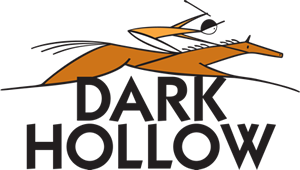 2:11 PM: Post time for the Kentucky Oaks is now 6:00 PM ET, due to a tote failure pushing each of the remaining races on the card back 15 minutes. 1:33 PM: “That’s a champion!” Applause and cheers for Blind Luck, getting her first win of the year over Unrivaled Belle in the La Troienne despite a poor start and running wide. After three seconds, it must be a relief to Hollendorfer to get back to the winner’s circle. 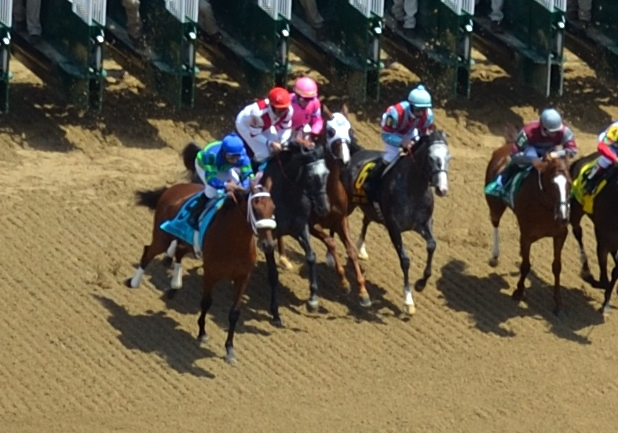 As gratifying as Blind Luck’s win is, though, it’s another for the chalk column. No one yet has paid better than 4-1. “Money has been very smart,” observes Scheinman. 12:48 PM: Might, half-sister to Breeders’ Cup Classic winner Blame, finished lengths ahead in the fifth at 2-1. That’s probably the highest price you’ll see on her for a while. 12:15 PM: Happy Oaks day! People were saying that each other this morning like it was Christmas. There is something of a holiday air around Churchill, thanks in part to the crowd that began queuing in the wee hours. On the backstretch this morning, the mood was light. “We’re here,” said Robert Yagos, owner of Archarcharch. “We made it.” Todd Pletcher and Mike Repole can’t say that about Uncle Mo, scratched as expected this morning, but at least they still have Stay Thirsty. Ken Ramsey was walking through the barns this morning, all smiles in advance of Derby Kitten’s start on Saturday. Running into Jerry Hissam, Calvin Borel’s agent, he joked that he missed out on getting the rider for the Derby. “You went too quick for us!” “Not as quick as I’d like,” replied Hissam. 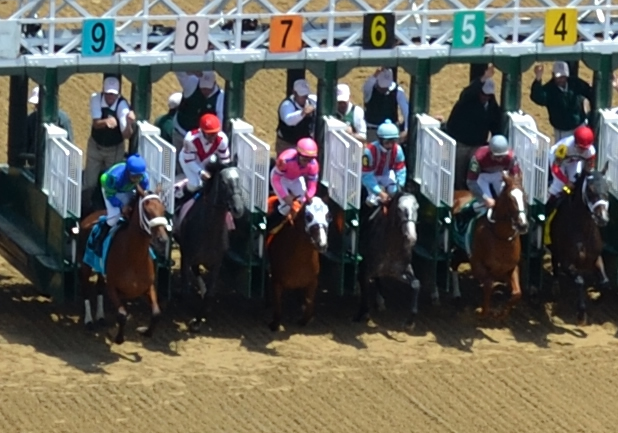 It’s just after noon, the fifth race on the card is coming up, and John Scheinman is alive in the Pick 4 and hot with his picks today. Let’s hope he’s as hot tomorrow when he’s manning the Kentucky Derby live blog.